At the NFL Owners Meetings in Orlando a week ago, Doug Pederson was asked what games during the regular season most prepared the Philadelphia Eagles for their playoff run. He gave something of a surprise answer. "There was a stretch in there when we played Arizona, Chicago, San Fran, Denver," Pederson began. "We beat ‘em pretty good. And you kept hearing comments like, ‘Oh, it’s too easy.’ What do you mean it’s too easy? Nothing’s ever easy, you know? But really, that stretch of games – we had Denver and I think we had our bye, and to score 51 points at that point, you feel like at that point, you’re rolling. You really want to keep it rolling." 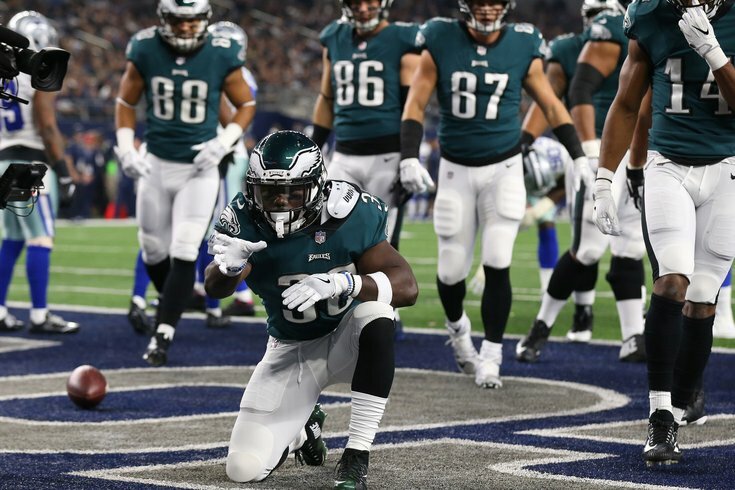 During the four-game stretch Pederson was referring to (he included the Week 5 win over the Cardinals when he probably meant the Week 11 win over the Cowboys), the Eagles outscored their opponents 152-45. It was during that stretch that the Eagles clearly looked like the best team in the NFL, with the team atop the NFC at 10-1 and Carson Wentz looking like the front-runner to take home NFL MVP honors. That is probably when the team really began to believe that they could win a Super Bowl. The Eagles were so dominant – and having so much fun dancing during their wins – that fans and radio stations began to wonder if the Eagles would be better served to lose a game prior to the playoffs to provide something of a wake up call, rather than run the table. And sure enough, they did, the following week in Seattle. Pederson also noted the late season three-game road stretch the team faced, beginning with that loss to the Seahawks. After the loss to the Seahawks, the Eagles won what was really a great game in Los Angeles against the Rams, although obviously it didn't seem so great at the time because they lost Wentz for the season with an ACL tear. The following week, if you'll recall, the Eagles had to overcome a 20-7 deficit to the Giants in New Jersey, before coming back to win. When you think of games that prepare teams for playoff runs, you often think of the "adversity games" that Pederson noted secondarily, not the blowout wins. But perhaps there's some wisdom in the confidence-building dominant stretches being every bit as important. Both stretches certainly served them well in the Super Bowl against the Patriots.